My research to date has paid particular attention to linguistic and communicative processes within educational settings. My PhD investigated how and to what extent children from two socially differentiated primary schools in Teesside, north-east England, used the resources of their local dialect to construct identities, negotiate social hierarchies and manage their relationships with each other and with their teachers. This work drew upon variationist and interactional sociolinguistic approaches. 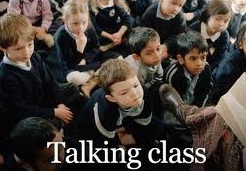 I have since used data from my PhD fieldwork to challenge the negative and uninformed views about non-standard English that are once again becoming prominent in discussions of young people’s language in media discourse and some educational policy documents. In April 2011 I gave a keynote talk at the BAAL/CUP seminar on ‘Language, Education and Disadvantage: A response to the Deficit Model of Children’s Language Competence’ at Sheffield Hallam University. A special edition of the journal Language and Education has been published on this theme [see here]. Issues around the relationship between local dialect, standard English and education often make the national news. My response to the move made by a Teesside primary school to censure the use of local dialect at home, as well as in the classroom, was published in The Independent on 10th February 2013. Following my PhD, I worked on the ESRC-funded project, ‘Towards Dialogue: A Linguistic Ethnographic Study of Classroom Interaction and Change’, with Adam Lefstein at the Institute of Education, University of London. Here my focus was on classroom discourse and the relationship between teachers’ sensitivity to classroom interactional dynamics and their professional practice. The project was graded ‘Outstanding’ by the ESRC. In a related project, supported by the centre for Work Based Learning for Educational Professionals (a HEFCE-funded initiative), we studied the social processes that influence learning in teacher professional development workshops that use video representations of participants’ own practice. Adam and I have recently written a book based on the ‘Towards Dialogue’ project. 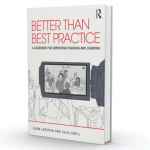 Better than “best practice”: Developing teaching and learning through dialogue builds upon growing enthusiasm among educational researchers and teacher educators about group discussion of classroom practice as a tool for professional development. It offers teachers, teacher educators and researchers an opportunity to investigate video-recorded episodes of primary classroom practice, and to use these episodes to reflect on pedagogy, dialogue, and educational improvement, as well as issues related to pupil identities and social relationships. For more information about the book, please visit our website. All of these research projects reflect my interest in ethnography, and in developing innovative research methodologies (in particular finding ways to combine quantitative with qualitative methods). 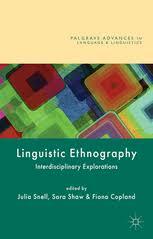 My latest book (with Sara Shaw and Fiona Copland), Linguistic Ethnography: Interdisciplinary Explorations, showcases work which situates itself in linguistic ethnography to provide insights into the methodological and theoretical concerns of this emerging field.